The 2019 NCAA Men’s Basketball Final Four will be happening in Ward 3 in a couple of weeks! Please join me in welcoming the teams and fans from around the country April 5-8. The City is focused on ensuring the four-day event downtown is a safe and welcoming experience for visitors and residents. We have worked with event organizers to minimize traffic and parking disruptions as much as possible -- there will be limited road and lane closures around U.S. Bank Stadium and Nicollet Mall. More information is available at minneapolismn.gov/finalfour. With the Final Four bringing festivities to Downtown East, I also want to take a moment to provide an update on the status of The Commons. Recently, Hennepin County District Court Judge Bruce A. Peterson ruled that, per our City Charter, the City lacks the authority to operate The Commons and enjoined the City from continuing to operate and maintain the space. The City and the Parks and Recreation Board (MPRB) have appealed this ruling to the Minnesota Court of Appeals. To comply with the ruling, MPRB has agreed to sublease the Commons and assume the City's contract with Green Minneapolis for the balance of the contract. The City will also transfer the balance of our 2019 appropriation for The Commons to MPRB. So, in short, we are complying with the judge's order while we appeal the decision, but there will be no change in the operations of The Commons by Green Minneapolis as a result this year. Regardless of what happens with the appeal, we all -- the City, MPRB, and Green Minneapolis -- will continue to collaborate to make sure that The Commons continues to be a great, vibrant open space in Downtown East for years to come. The City Council has approved a Renter-First Housing Policy — a framework that affirms the City’s commitment to advancing renter protections and developing new tools to support affordability and stability in rental housing. The policy prioritizes the safety, stability, health and dignity of people who rent their homes in City decision-making. It directs departments to view their work through a renter-centric lens to minimize impacts on the housing stability of renters. Regulating rental housing has been one of the City’s core functions since 1956 when it established some of the first housing maintenance ordinances in the country. The implementation of the Renter-First Housing Policy will include both early intervention and safety-net strategies. Highlights include strengthening enforcement measures to ensure repair issues are addressed quickly while minimizing negative impacts on the renter; targeting inspections efforts toward properties in disrepair or with a high volume of renter complaints; and creating financial opportunities for property owners to maintain housing conditions and affordable housing without increasing rents. The City’s Regulatory Services Department has already been involved in renter-centric projects, including Hearing Tenants Voices, a three-year initiative that brings together community artists, housing inspectors and renters to build relationships and discuss the inspection process from all perspectives. The department also has new tenant navigators who work to ensure renters are partners in the inspection process and understand the City’s regulatory process. The Renter-First Housing Policy builds on a growing body of work City leaders have advanced to address the challenges facing renters, such as the recent advance notice of sale ordinance that provides more protections for tenants when an affordable rental building is sold, and the amendments to the City’s Conduct on Licensed Premises ordinance that provide more tenant protections and resources for landlords to solve problem. In 2019, the City will expand legal services for low-income renters living in housing that needs repair and/or renters facing eviction. A majority of residents rent their housing in Minneapolis. People of color and indigenous people are more likely to be renters than white people in the city. Renters are vulnerable to challenging market conditions, including low vacancy rates and limited affordable housing options. Northern Metals reached a $2.5 million settlement with the Minnesota Pollution Control Agency (MPCA) early in 2017, and as part of the agreement, the company is paying $600,000 for asthma and lead-poisoning mitigation in areas surrounding its north Minneapolis plant. Lead Testing - We will be providing free lead testing for children under the age of 6 this summer and will provide a $50 gift card to eligible families. Look for postcards in the mail and be on the lookout for other announcements of testing events. Is your child missing school because of asthma? The Minneapolis Asthma Program can help. Families with a child with asthma can call to receive a home visit by a Healthy Homes Specialist who can identify sources of asthma triggers in a home. Many homes have asthma triggers that can be reduced by using a HEPA air cleaner (to remove pollen, mold spores and pet dander). Products such as the HEPA air cleaner, allergen pillow and mattress covers and more products are free to families. Help your children to stay in school and reduce their asthma triggers. Call or text Eliza Schell at 612-685-8512 or request a visit by email eliza.schell@minneapolismn.gov. This program is run by the Minneapolis Health Department and is brand new in 2019. To learn more about lead paint contact Lisa Smestad at 612-673-3733 or lisa.smestad@minneapolismn.gov. Minneapolis homeowners: if you haven't already, you will soon receive your property value notice in the mail. The estimated market values of homes in these notices are used to calculate 2020 property taxes -- that's next year's taxes, NOT this year's taxes. Property owners can review the values of your home with an appraiser, ask questions and, if so desired, appeal your value at the Local Board of Appeal and Equalization. Each notice includes the name and phone number of the appraiser assigned to the property in question. Contacting the appraiser is the fastest and most efficient way for homeowners to get answers to questions or to start the appeals process. The local board convenes April 23 and begins hearing cases May 7, 2019. More information about the appeals process is available on the Local Board of Appeal and Equalization’s webpage at minneapolismn.gov/assessor/marketvalues/LBAE. For more information, visit minneapolismn.gov/assessor. At our March meeting, CEAC revisited the Bring Your Own Bag ordinance. Council Member Gordon's staff was there to talk through where the current ordinance is at in regards to adding a fee to all carryout bags in 2019. You may recall that the City council passed an ordinance to ban all plastic bags in 2015, but the state legislature swiftly passed a law that preempted the City from carrying that ban out. You can find more details about the history of the ordinance and take a quick two-minute survey on the Zero Waste page of the city website. Your input on the carryout bag fees is greatly appreciated! If you're interested in learning more about CEAC and have an environmental concern you would like the group to consider addressing, please visit CEAC's website for additional details and our contact form. Our meetings are always open to the public, and we encourage you to join us. Next CEAC Meeting: April 4, 2019, 6:00 – 8:00 p.m. at the Phillips Community Center, 2323 11th Ave S.
Several board and commission positions are open for City Council and mayoral appointments this spring. 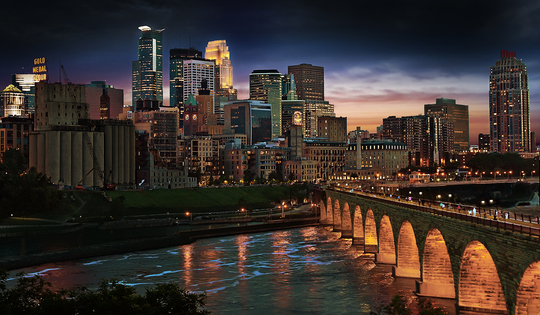 Board and commission members in the City of Minneapolis help shape key policy decisions, give community-based input into the City’s administration, and supply valuable insights. Census Complete Count Committee. Open until filled. Pedestrian Advisory Committee. Apply by April 19. Violence Prevention Steering Committee. Open until filled. Workplace Advisory Committee. Apply by April 12. Zoning Board of Adjustment. Apply by March 30. People can apply through the open position pages linked above and find more info at minneapolismn.gov/boards/openings or by contacting 612-673-2216 or OpenAppointments@minneapolismn.gov. The positions are open until filled. 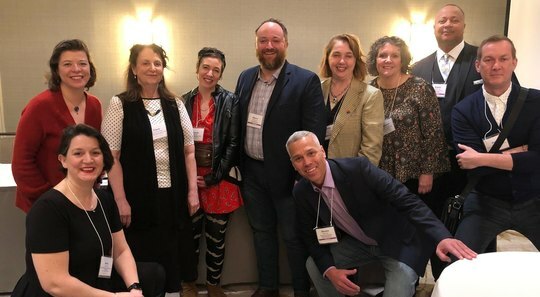 I attended the Responsible Hospitality Institute's Sociable City Leadership Summit with leaders from cities all over the country who are responsible for promoting a safe and vibrant downtown nightlife. A panel that identified ways that mostly male architects, planners, and business owners have built nightlife scenes that can make women feel unsafe or unwelcome, and challenged us to think more inclusively. A panel on college towns, and how cities can organize nightlife to keep college students safe. A panel of "Night Mayors" from eight different cities that described how it works to have a dedicated city staff role to manage the nighttime economy. Our own panel presenting Minneapolis as a case study, which generated a lot of great discussion, praise for some of the cool things we're trying, and suggestions for next steps. Maybe the coolest thing was being part of a great delegation from Minneapolis which included city staff from Business Licensing, Traffic Control and MPD, representatives from the Warehouse District Business Association, Minneapolis Downtown Improvement District, and Hennepin Theatre Trust, as well as two downtown late-night business operators. The chance for us to participate in these conversations together gave us a common framework and vision that I think is going to really help us expand on last year's successes as we keep working toward the fun, safe night time entertainment district we want for our city. It won't surprise anyone that our rapidly growing downtown requires infrastructure updates. 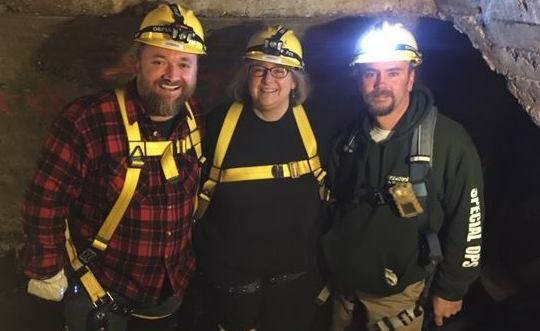 This month, I got to see our stormwater tunnel system firsthand, and meet some of the Public Works employees who keep our city running smoothly 80 feet below ground. I examined and even climbed up into caverns created by cracks in the concrete that let water seep into and erode the sandstone above. Repairing those cracks is a huge annual expense, and the new tunnel we're proposing to add to the system will take pressure off the system and make it work for the next 100 years. That's why we've made $19 million for the Central City Storm Tunnel our top bonding priority this year at the legislature. Big thanks to the city staff who arranged for Council Member Lisa Goodman and I to experience this important city infrastructure in person. Northeast residents and neighborhoods, led by the St. Anthony East Neighborhood Association, have been working with Hennepin County ahead of a scheduled repaving of Broadway St. NE to seek additional changes to the street to make it safer for pedestrians and bicyclists. Under the banner of "Fix Broadway", the group has gathered stories and surveyed people who use the street through all different modes to identify the top priorities, and are now meeting with County and City staff to see what's feasible in the near future. Hennepin County shared this presentation at a community meeting on Thursday, March 21. For more information. go to fixbroadway.org or the County website linked above. As many of you have heard, Marcy-Holmes has experienced an alarming string of high-profile violent crimes, resulting in a couple of very scary incidents, and a couple of very tragic losses. I’m grateful to everyone who came together for a neighborhood meeting to discuss the path forward with city staff from MPD and regulatory services. We’ve been following up on the ideas offered at the meeting, and will continue to work with community to ensure this is an unusual and short-lived outlier in our safe and welcoming neighborhood. 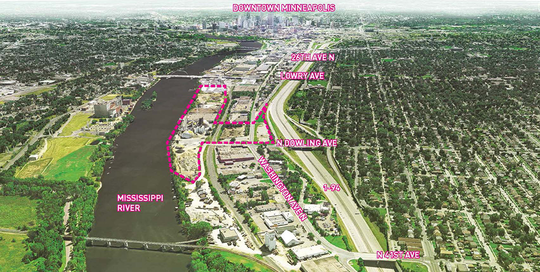 The City Council has approved an amended concept plan for redeveloping the 48-acre Upper Harbor Terminal site along the riverfront in north Minneapolis with a first phase that will include affordable housing, mixed-use development, riverfront parkland and an outdoor music performance venue. The approval of the concept plan comes after an extensive multi-year community engagement process that has guided a vision for the site, which is home to a former barging terminal that closed in 2014. The City owns the terminal site, and the Minneapolis Park and Recreation Board will oversee future parkland. United Properties, THOR Companies and First Avenue Productions make up the development team working with the City, Park Board and community on the redevelopment plan. Housing development with 300 to 500 units, including 40 percent affordable units. One-mile of public riverfront access and 19.5 acres of parkland overall (to be completed in multiple phases). Mixed-use development with space for 10 to 20 businesses focused on community-ownership models, office space and a hospitality component. An outdoor music performance venue with free community programming and extensive job training opportunities. A newly established 15-member Community Planning and Engagement Committee will work with the project team on community engagement, refinement of the phase one plan and visions for future development phases. A more detailed redevelopment plan for the Upper Harbor Terminal site will be presented to the City Council in about a year after additional community engagement, testing and refinement of the Concept Plan elements, environmental review and financial analysis. The City Council and Mayor Jacob Frey are expected to appoint the Community Planning and Engagement Committee members in mid-May after a two-month application and review process. The committee is expected to have its first meeting in late May. To learn more about the Upper Harbor Terminal project, visit the project website: upperharbormpls.com. “Radical Playground” will debut on The Commons June 14 as part of Northern Spark, an annual nighttime arts festival in Minneapolis with tens of thousands of participants. The art will remain on The Commons through August 2019 for a summer of everyday interaction and special programming. 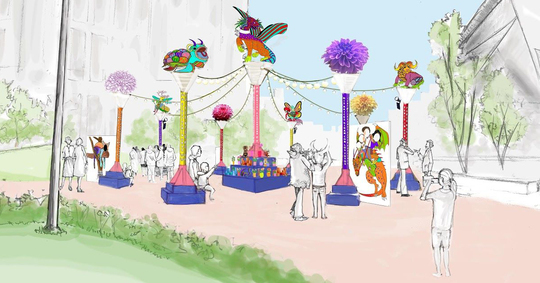 Participants will be invited to heal through play with whimsical interactive “alebrije”: animal sculptures inspired by dream creatures from the Caribbean, Mexico, the Pacific Islands and the indigenous cultures of Minnesota. The Creative City Challenge is a competition for Minnesota-resident architects, landscape architects, urban designers, planners, engineers, scientists, artists, students and individuals of all backgrounds. The challenge: create and install a temporary, destination artwork that acts as a sociable and participatory platform for two months of onsite programming and encourages a sense of connectedness to the city and its rich cultural and natural offerings. The Creative City Challenge is conceived as a showcase for local creative talent, Minneapolis community identities and a tangible symbol of the complex narratives that make up the many stories within our urban landscape. Meet Our Ward 3 Representatives on Boards and Commissions! Please join me at my next Ward 3 Happy Hour on Wednesday, April 17 to meet and hear from Ward 3 residents who sit on different City Boards and Commissions. WHEN: Wednesday, April 17 from 5:00 - 7:00 p.m.
You can RSVP on Facebook or just show up -- see you there! The City is hosting five community workshops and one online open house in April to collect public input on ways to improve the city’s transportation system as City staff develop the Minneapolis Transportation Action Plan and the Vision Zero Action Plan. Community Workshop (Northeast) Tuesday, April 16, 4-6 p.m - Northeast Recreation Center, 1530 Johnson St. N.E. The Transportation Action Plan will be a 10-year plan to implement the transportation vision outlined in the Minneapolis 2040 Comprehensive Plan. It will develop strategies and actions on the following topics: advanced mobility, pedestrian, bicycle, transit, freight, street operations and street design. The Vision Zero Action Plan will be a three-year plan to advance the City’s commitment to ending traffic fatalities and severe injuries resulting from traffic crashes on our streets by 2027. Staff is expected to submit the plans to the City Council for approval in 2020. If you can’t participate in one of the April events, visit the Transportation Action Plan website and the Vision Zero Minneapolis website to learn how to get involved and provide feedback. Follow #gompls on social media to be part of the conversation. Good Morning Ward 3 will return on May 15! This year, I am holding Good Morning Ward 3 and Ward 3 Happy Hour events in alternating months, usually on the third Wednesday of each month. Our next Good Morning Ward 3 will be Wednesday, May 15th from 7:30 - 9:00 A.M. at Kramarczuk's, 215 E Hennepin Ave.
Open Streets 2019 Calendar Set! Open Streets Minneapolis is a free event series that opens city streets to folks biking, walking, rolling and playing. At each Open Streets Minneapolis event local businesses, artists, community groups and institutions come out into the street to play. Open Streets Minneapolis is hosted by Our Streets Minneapolis and presented by the Center for Prevention at Blue Cross and Blue Shield of Minnesota. Find more information at www.openstreetsmpls.org. All are welcome! RSVP on Facebook or just show up. If you want to discuss a specific issue or project, email david.zaffrann@minneapolismn.gov and we'll add you to the agenda.